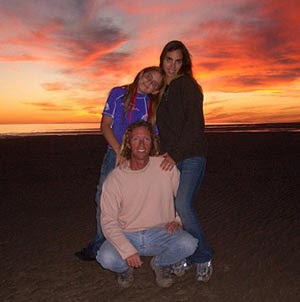 BAJA NEWS: Since 2007: Why Choose Rocky Point? Puerto Peñasco, Sonora, also known as Rocky Point, Mexico, has unique qualities that make it a desirable spot to live. Whether you are retiring or looking for a change in pace in your life, Puerto Peñasco should be on your list. It has the best of both Worlds: The US and Mexico. For US mail, open a PO Box in Lukeville and a private service can deliver your mail to Puerto Peñasco. Shop online, through U.S. catalogs (further south this isn’t possible). You need no special permit for your vehicle in this free zone, just purchase Mexican insurance, park your car mainly in Mexico, and your insurance bill will be significantly lower. Phoenix is just 3 ½ hours away, allowing frequent shopping in the USA, and even Las Vegas is only half a day’s drive. Many enjoyable places are within a day's drive — you won't feel "trapped on an island". You will experience small town living but with big city proximity for anything you might need. Medical insurance can work with your US insurance and transfers to US hospitals can be arranged. The pace of life is calm. Walk into a restaurant, to the owner’s warm greeting, look around, and you will probably see people you know. Enjoy the sense of community with many fellow American townsfolk. The Beaches are beautiful, with one of the largest tidal changes in the world. The same beach is radically different from hour to hour; you can be snorkeling in the morning and walking on the same rocks that afternoon! At full tide, there is up to 18 feet change in depth in just 6 hours! Water temperature, warmer than the Pacific side, makes for very pleasant swimming. Waves are very small, making it safe for children. Only occasionally do waves get big enough for surfing. Rocky Point has several choice beaches, from the tidal beach at Mirador, perfect for tidal pool exploration, to the more active Sandy beach where beach volleyball, skim boarding, flying ultra lights and jet ski's are the order of the day. Twenty minutes south, you can find miles of unspoiled and isolated beaches if that is your preference. Eat fresh oysters from an oyster farm in one of the many estuaries or go clamming at low tide in Cholla Bay. Culinary options abound, ranging from modest taco stands to high-end resort cuisine; shrimp, the staple of our town, is excellent anywhere you go. Most importantly: If you move here you will feel welcomed by friendly people who will quickly make you feel that you belong to our community. So come on down, breathe our fresh ocean air and call Puerto Peñasco your new home!